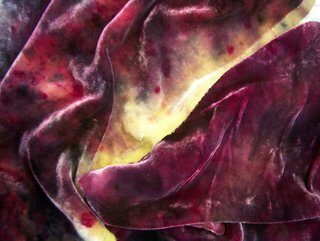 This piece was dyed with osage orange first, then compost dyed using red yeilding dyestuffs. It turned out gorgeoust! Too bad it's only a fat eight, and not say three and a half yards.